With Summer just around the corner, everyone is getting antsy to take weekend trips and bask in the warm sun! Orange County is a great place to be during the summer because it has an endless list of great activities, and it offers easy access for quick weekend trips. Whether you’re looking for a fun weekend activity, the best places to eat at, or the sweetest dessert stops, this is your guide to all things to do in Orange County during the Summer! Are the kids getting a little too rowdy? Blow off some steam at Knott’s Berry Farm in Buena Park. The ultimate Summer day activity, a trip to Knott’s Berry Farm has something for the whole family. The thrilling rides, fun games and tasty treats are sure to please all five senses. A daily admission ticket to the park is $45, but you can also purchase park hopper passes to make the lines shorter and the day a little more convenient. Bring suits for the water rides if you’re looking to cool off as well! A crowd favorite, the OC Fair should be marked on your calendar for this Summer! This delightful fair that tours the southern California area is one you will certainly not want to miss! This year the fair, located in Costa Mesa, will take place from July 14-August 13 and is open to the public Wednesdays through Sundays. This year some of the performances will include Justin More, Colbie Caillat and The Band Perry. You can also purchase tickets to special events at the fair like the OC Brew Hee Haw Craft Beer Roundup. Check out more fun rides, games, food and concerts on the OC Fair website! Need a great dinner spot for that warm summer evening? Try booking reservations at Habana in Costa Mesa! Not only is the food delicious, but the outdoor seating will have you feeling relaxed and peaceful. If dinner doesn’t work, try heading over for brunch or lunch as well! The patio is enclosed in beautiful green plants and the stringed fairy lights above set the perfect tone. Some favorites on the menu are the Caribbean Eggs Benedict and the Citrus Marinated Pork Belly! Clear your calendar and make sure to fast for a week so you’ll have room in your stomach for the Tustin Street Fair and Chili Cook-off! This fun event is held in Old Town Tustin and includes a variety of activities! This year the Street Fair and Cook-off will take place on June 4th from 11:30 am- 6:00 pm. Attractions of the event include food vendors, live music, carnival games, craft booths, a kid’s area, alcohol booths and of course- the Chili Cook-Off! This all day event is the perfect Summer activity because it includes sun, sand and surf! It doesn’t get much more “California” than that. The Vans US Open of Surfing is a nine-day surfing event that hosts over 350 elite surfers. This is a great activity to do for a day or two because it’s completely free to go sit on the beach and watch the surfers, and the atmosphere is very fun! Many sponsors and art vendors set up on the beach and there is live music as well as meet and greets with some of the athletes. This year the Vans US Open of Surfing will take place from July 29- August 6. Be sure to get there early because even though everyone is welcome it can be very tricky to find parking! Can’t decide what type of food to choose? Italian…Mexican….Indian? Well you don’t have to at the Orange International Street Fair! Although it’s closer towards the end of Summer, taking place on September 1-3, it’s a good idea to put it on the calendar now because this food festival is certainly not to be missed! There are food booths broken up into 15 different parts of the world: America, Switzerland, Asia, Australia, Denmark, England, Japan, Greece, Holland, Germany, Ireland, Italy, Polynesia, Mexico and Lebanon. There are also nine different stages scattered throughout the festival on which performances take place throughout the weekend! This “taste of tradition” is not to be missed! Although not exactly in Orange County, a day trip to Catalina Island can be the perfect weekend activity for any age group! Just a short hour boat-ride away, Catalina Island has many different attractions such as snorkeling, paddle boarding and kayaking. The island also has some great events of its own throughout the Summer that you may want to plan your trip around. At the beginning of June, visitors can experience the 13th “Taste Around of Avalon 2017” in which you are able to experience some of Catalina’s finest cuisine and drinks. Beginning in the middle of June the Catalina Island Concert Series occupies the Wrigley Plaza Stage. Kids also enjoy the Fishing Derby each Wednesday and Summer Beach Bingo every Tuesday and Thursday! Living in Orange County during the Summer is fantastic because there is so much to do and the weather is unbeatable. 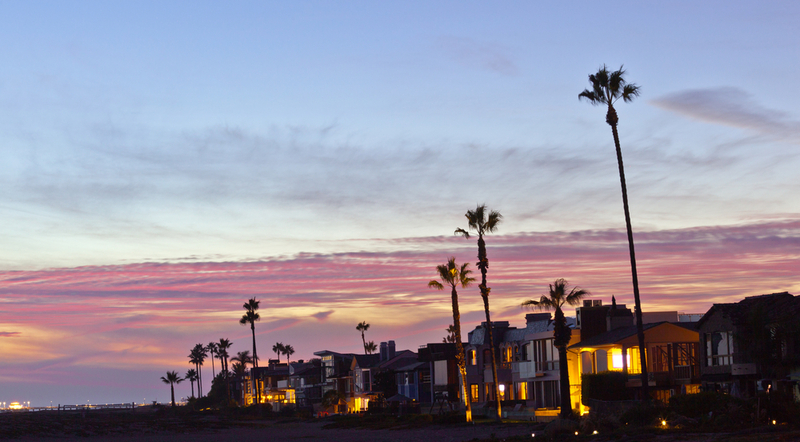 Many families choose to settle in Orange County at the beginning of Summer so they are able to relax and enjoy all it has to offer. For more information on housing in Orange County contact Stacy & Nicole today!